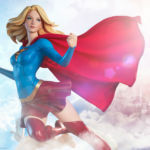 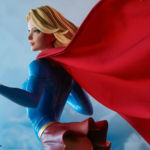 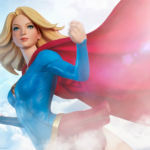 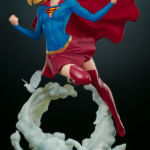 Sideshow Collectibles has shared photos and details for their new DC Comics Supergirl Premium Format Figure. 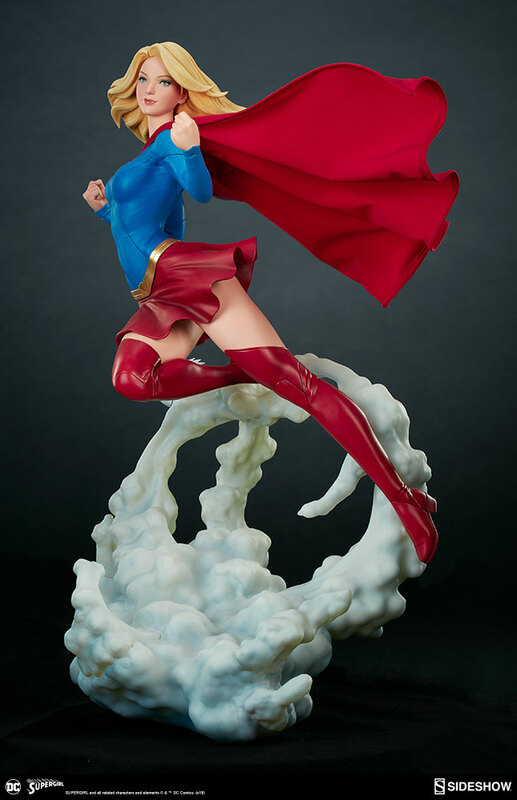 Pre-orders are set to go live today between Noon and 3:00 PM EST. 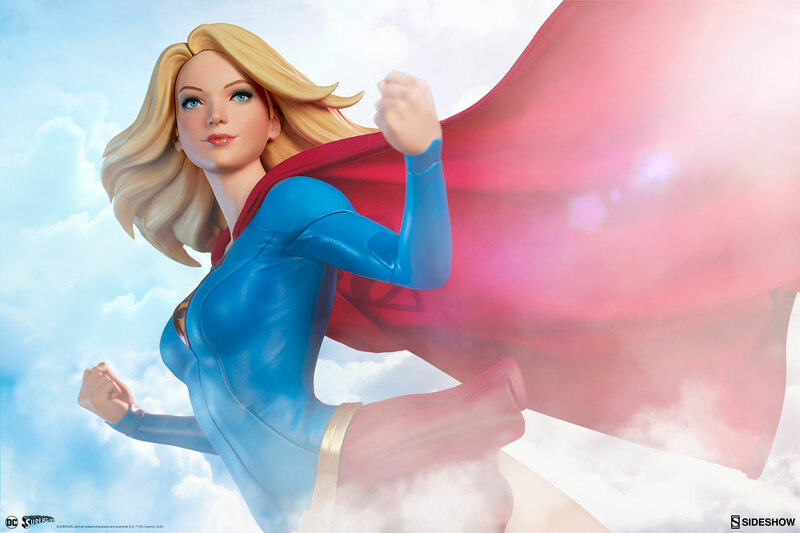 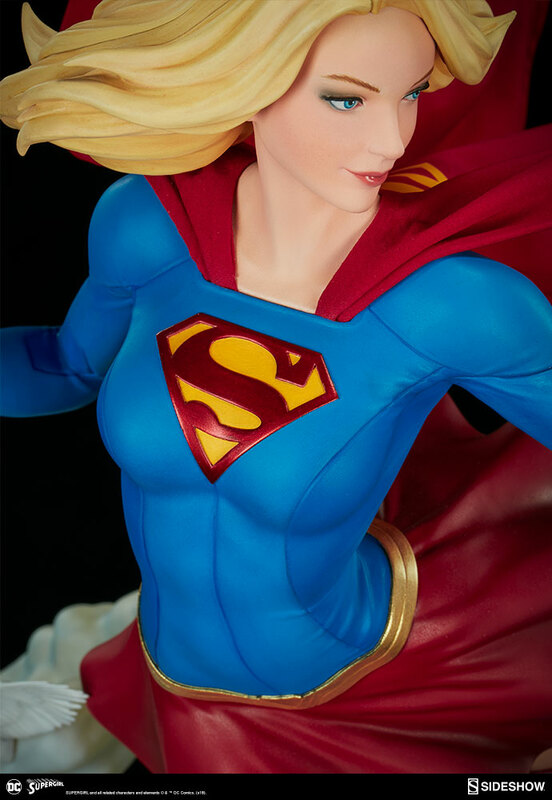 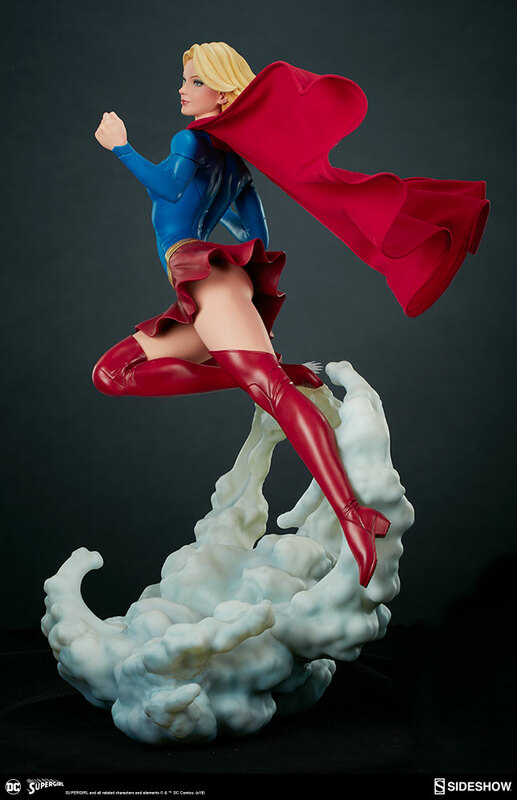 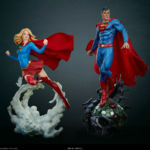 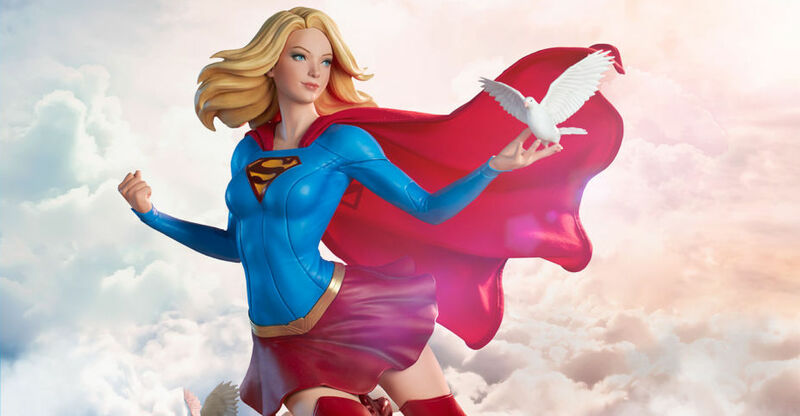 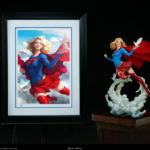 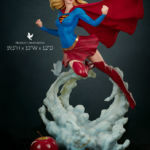 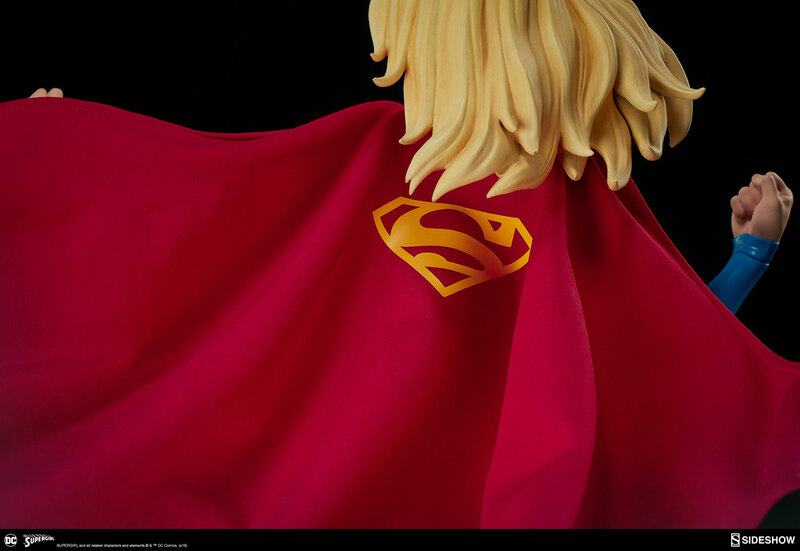 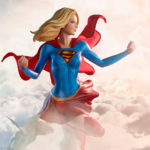 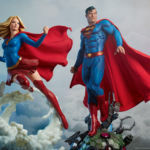 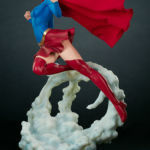 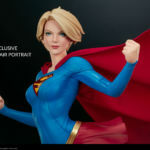 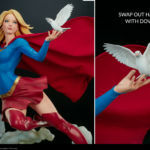 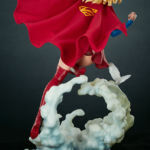 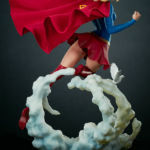 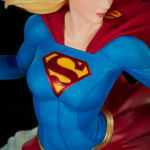 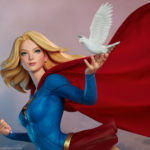 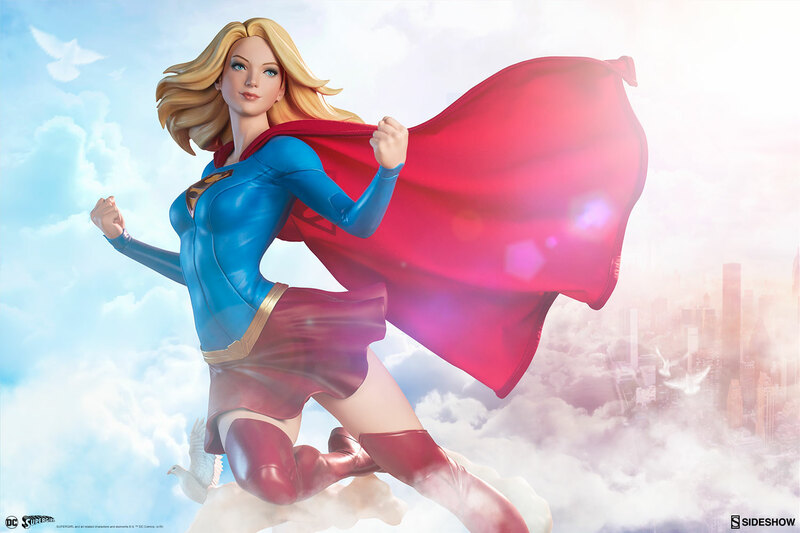 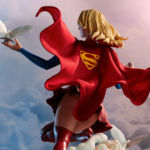 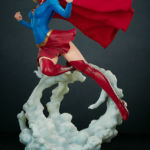 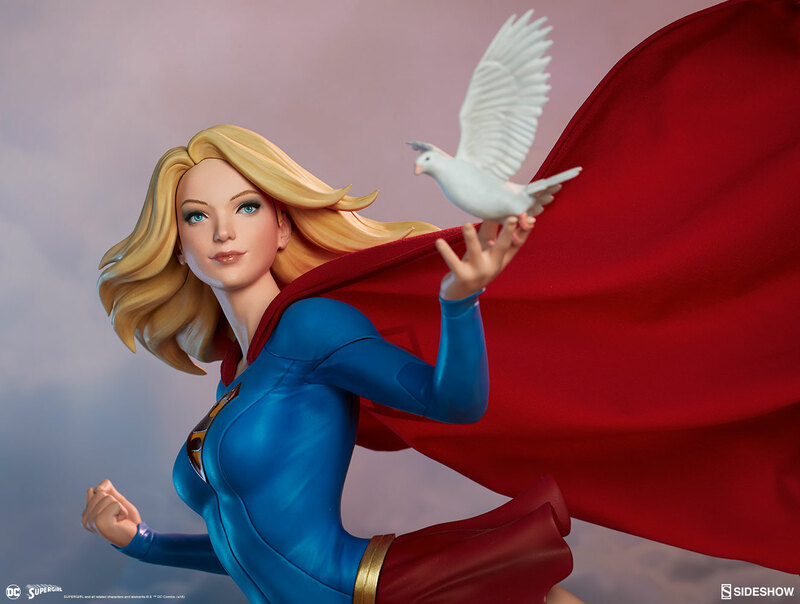 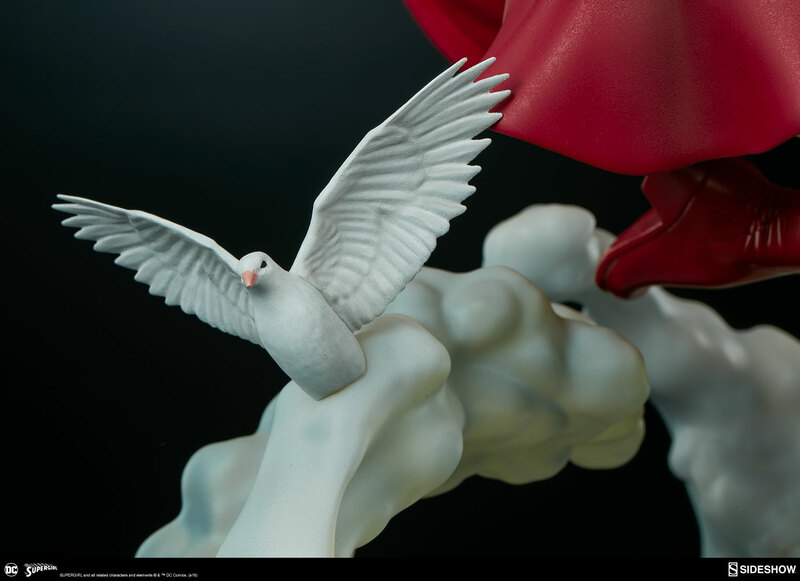 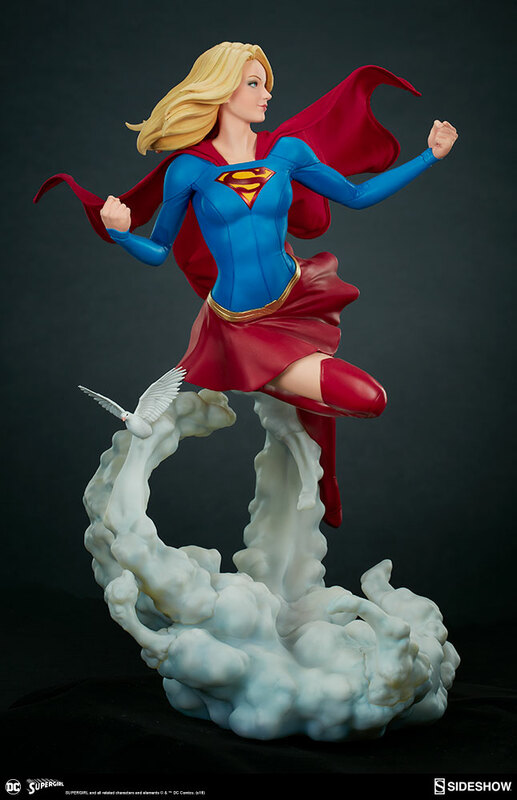 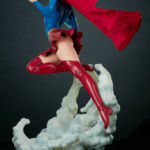 The statue stands at 19.5″ tall, with Supergirl in mid-flight atop a cloud themed base. 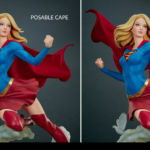 The included fabric cape includes wiring for custom posing. 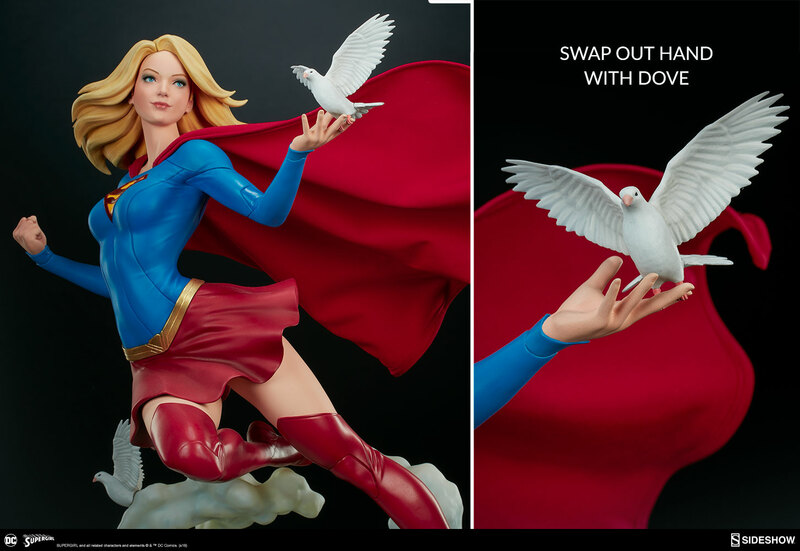 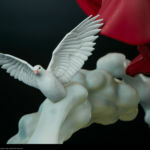 Also included is a swap out left hand holding a dove. 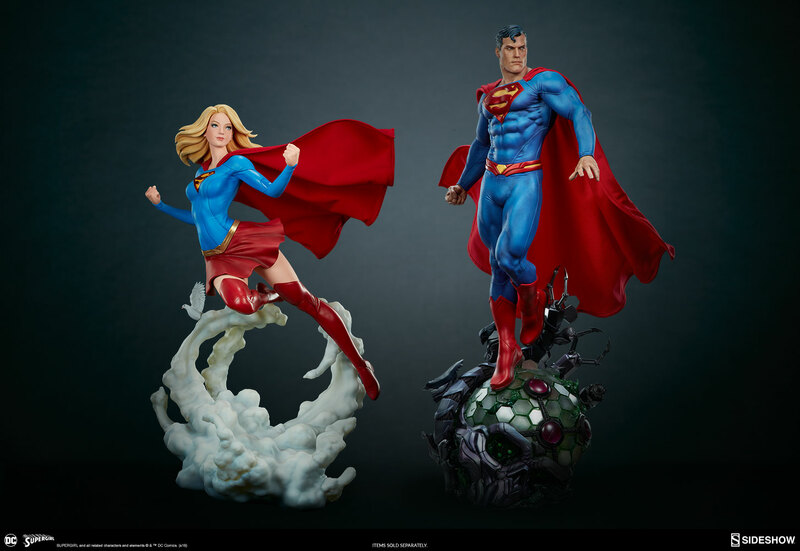 There will be a Standard Edition ($510) and a Sideshow Exclusive Edition ($525). 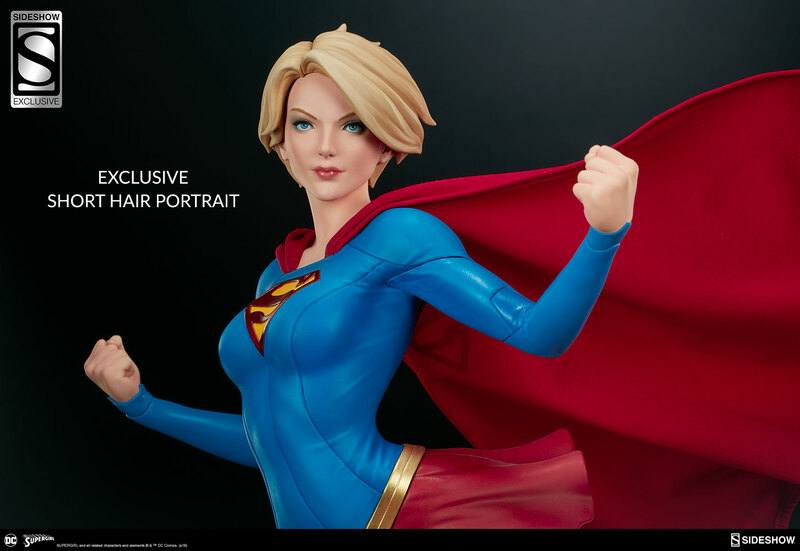 The exclusive version includes an additional short hair portrait. 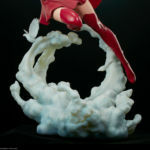 Check out the photos after the jump. 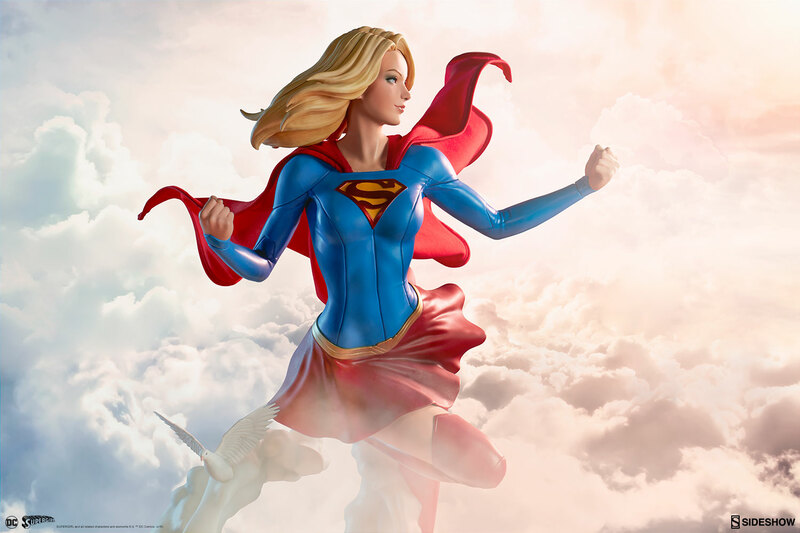 She stands for hope, help, and compassion for all! 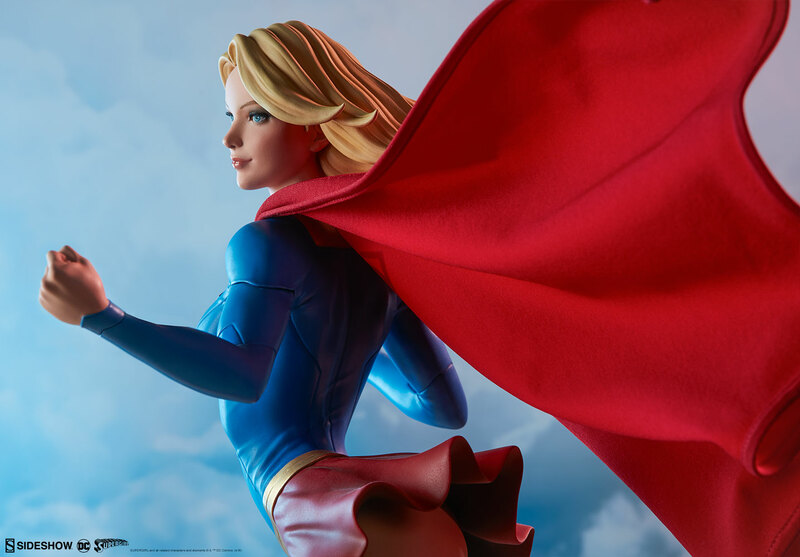 Sideshow is proud to present the Supergirl Premium Format™ Figure. 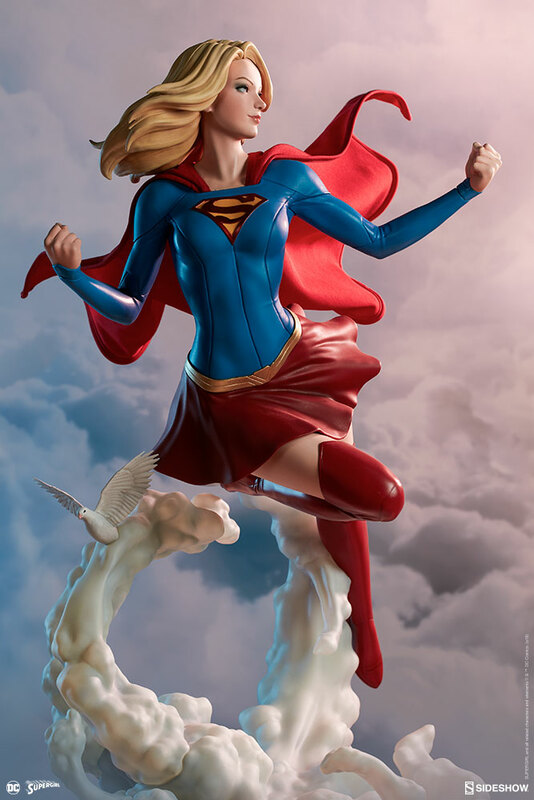 Inspired by the artwork of renowned artist Stanley ‘Artgerm’ Lau, the Supergirl Premium Format™ Figure measures 19.5” tall, as Kara Zor-El soars above the skies. 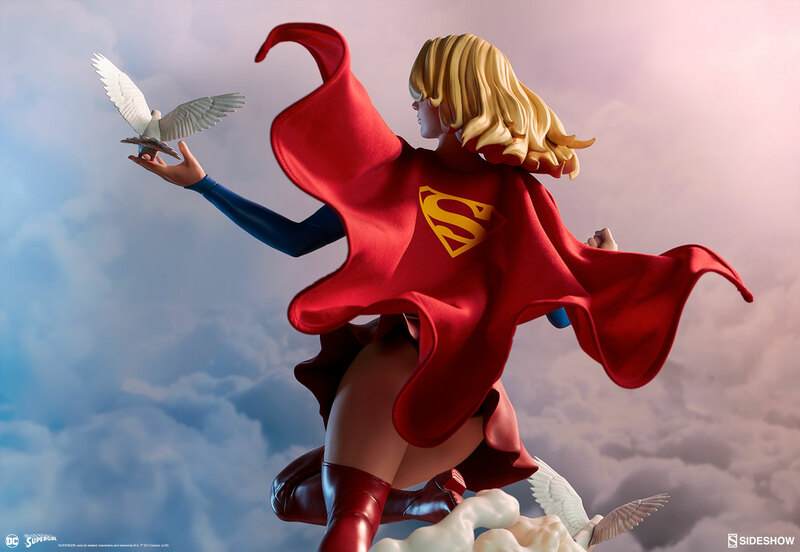 She gives the impression of a breezy, effortless flight as she hovers alongside a bird taking wing on a billowing cloud base. 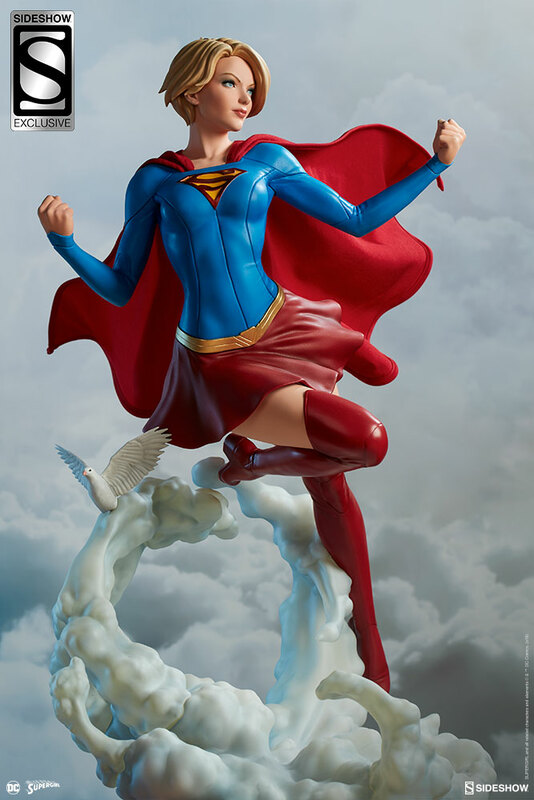 The polystone Supergirl Premium Format™ Figure has a sculpted blue costume with a dynamic red skirt and boots, with the iconic symbol of the House of El emblazoned on her chest. 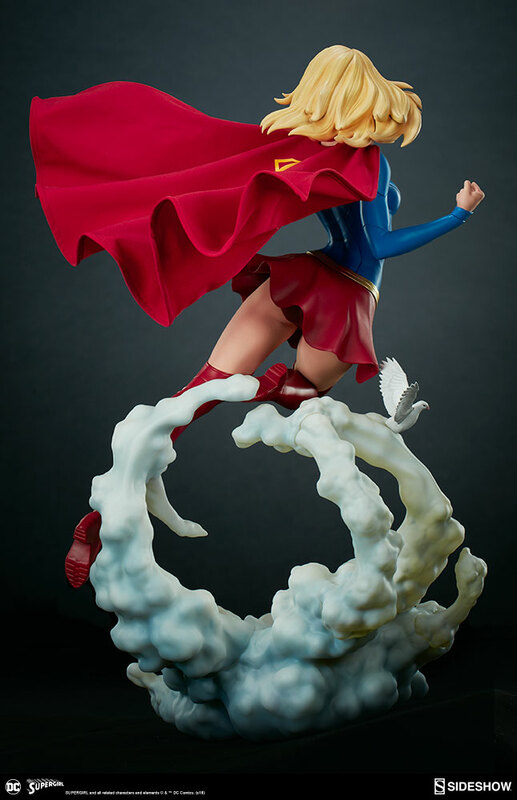 The figure also has a red fabric cape marked with her yellow symbol, with internal wiring to allow for custom cape posing options. 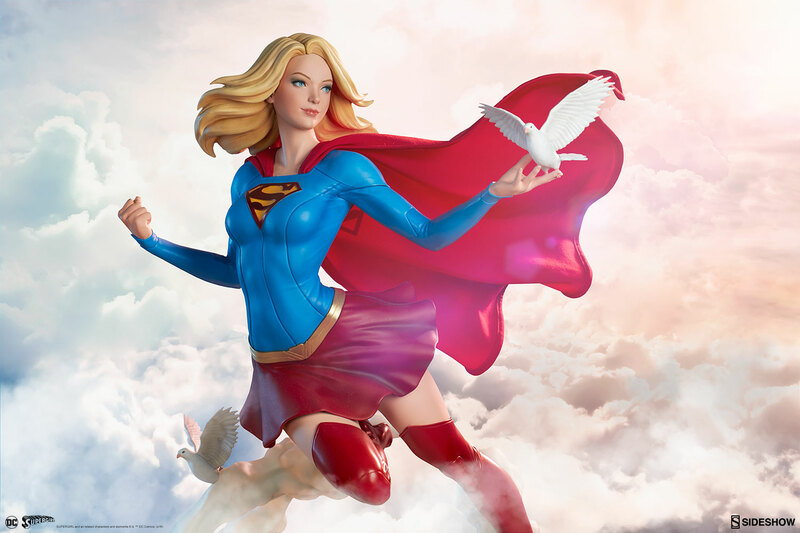 Supergirl’s portrait has flowing blonde hair, and the figure includes an alternate left hand holding a white bird. 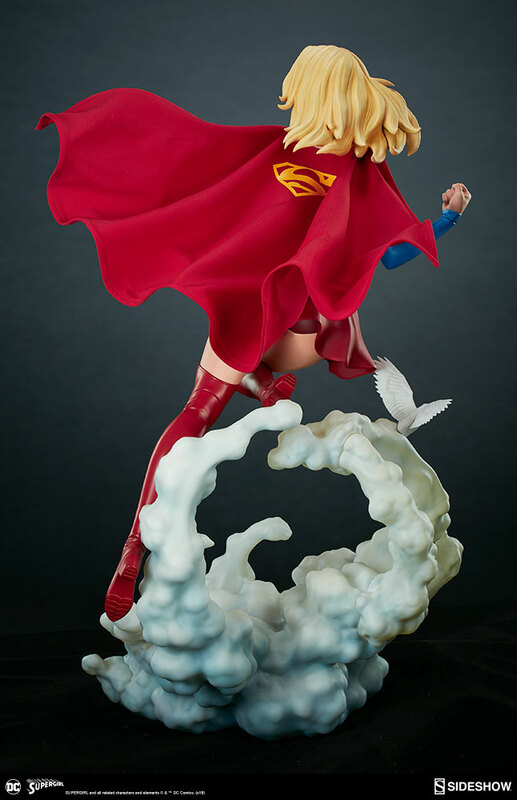 Display Kara with a closed fist or with a feathered friend in both editions of this truly super figure. 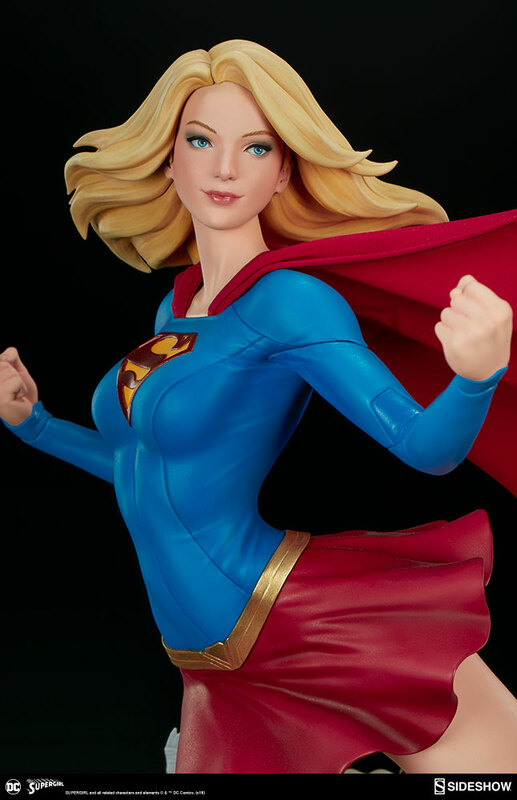 The Exclusive Edition of Supergirl includes a swap-out portrait with a shorter haircut. 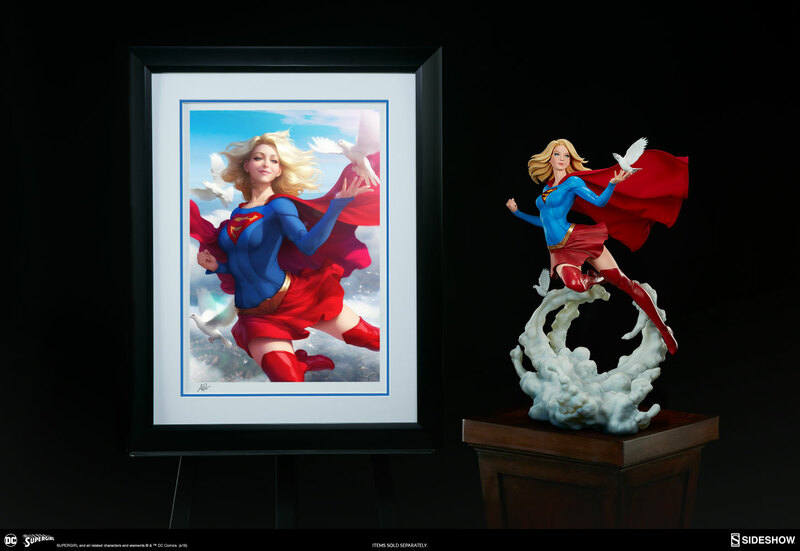 Choose between two beautiful and stylish portraits of Kara Zor-El to display in your DC collection. 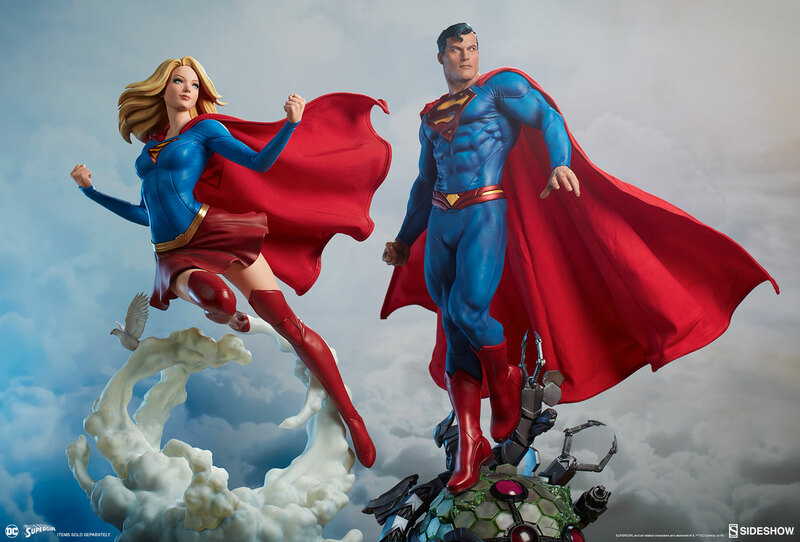 The paint in this one looks very muted and dull!! 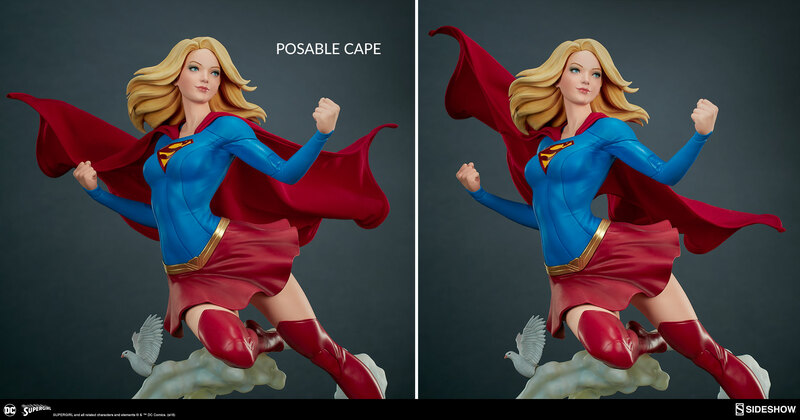 It actually looks bland! 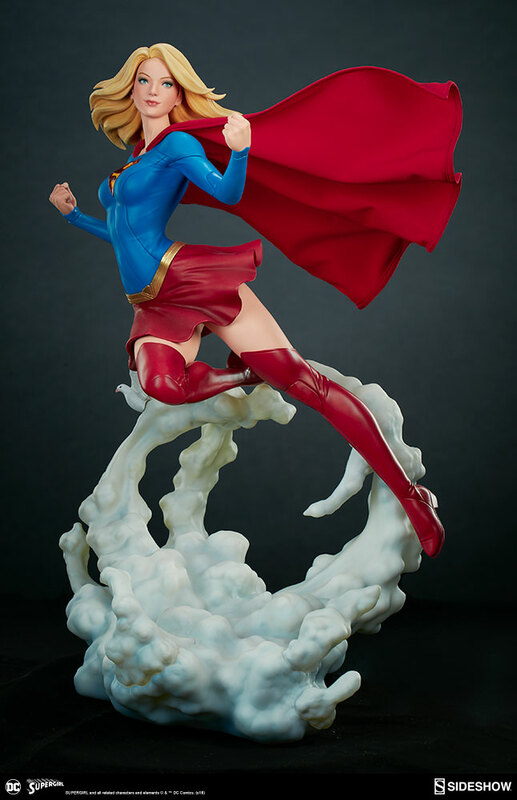 Honestly, this has a very cheap look to it compared to their other pieces! 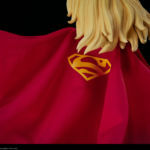 So true ! 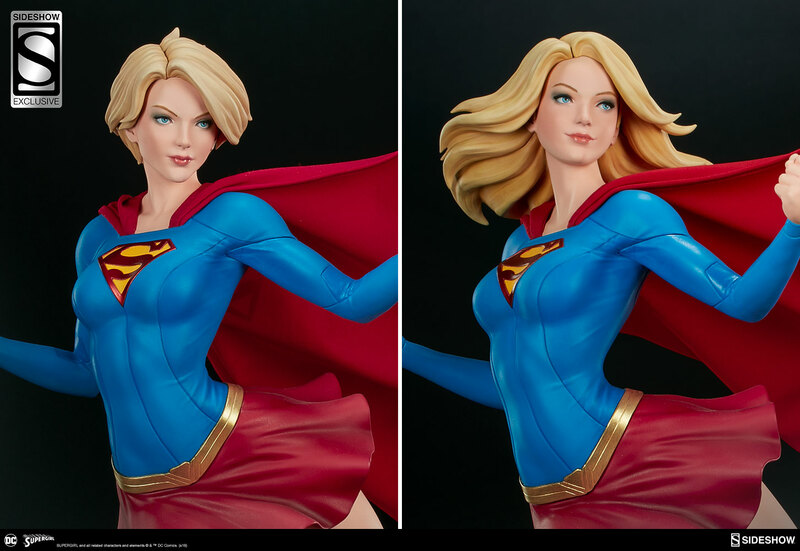 It looks like it could pass for a high-quality Diamond Select statue, but this is definitely not what I would have expected from Sideshow ! 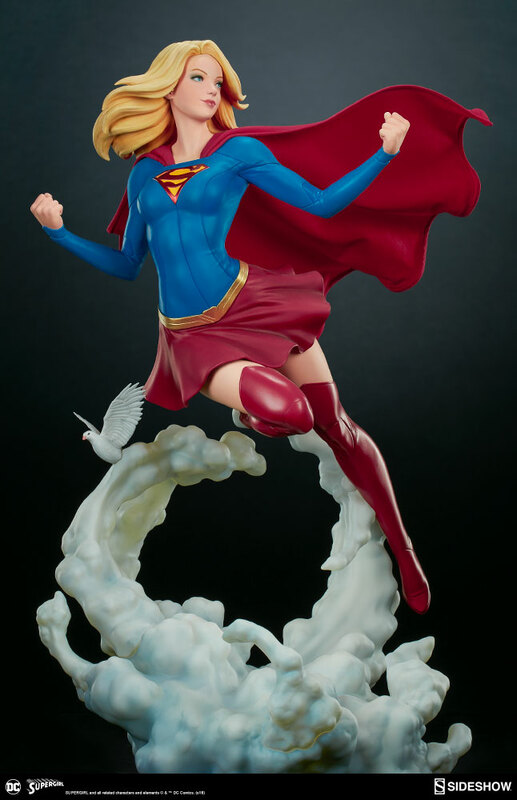 But I can't help but say that the swap outs and the poseable cape brings some fun factor to this statue. 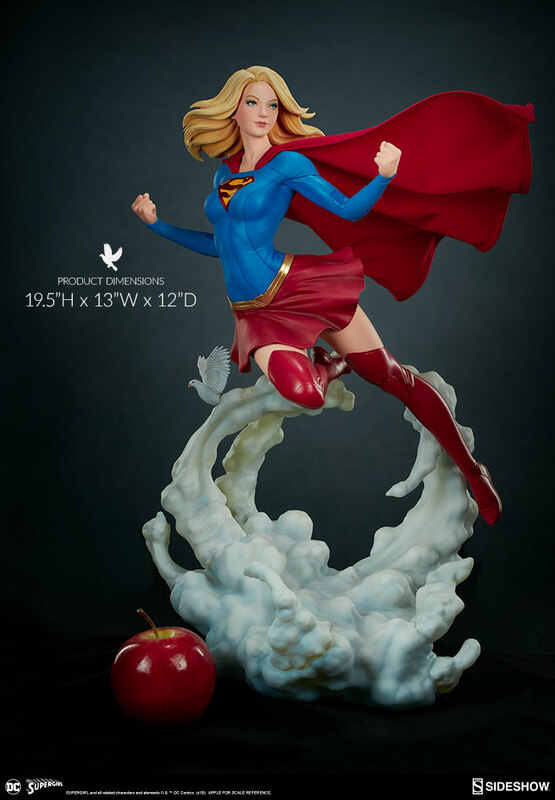 Though that price point... would rather get a Hot Toy.